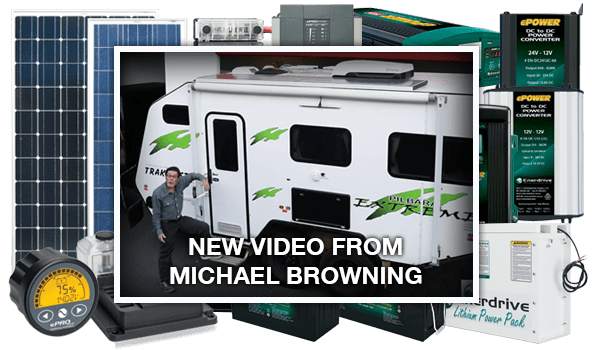 Enerdrive supplies power solutions for mobile, remote and off-grid applications like Caravans, RV’s, 4WD’s, Yachts and remote location’s that require off-grid power. Battery chargers, inverters, battery monitors & solutions for lithium-ion systems. 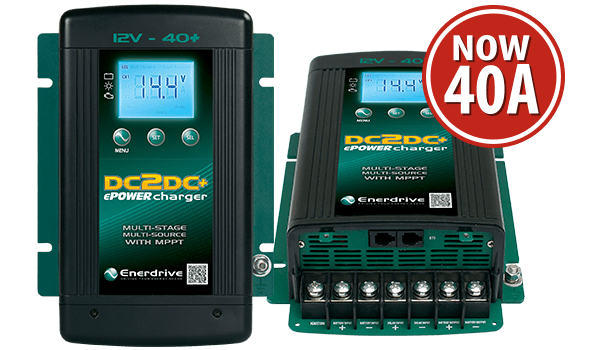 NEW ePOWER 40A DC2DC Plus Battery Charger from Enerdrive. Designed to meet the rugged demands of Australian conditions and delivering multiple source charging for DC systems. 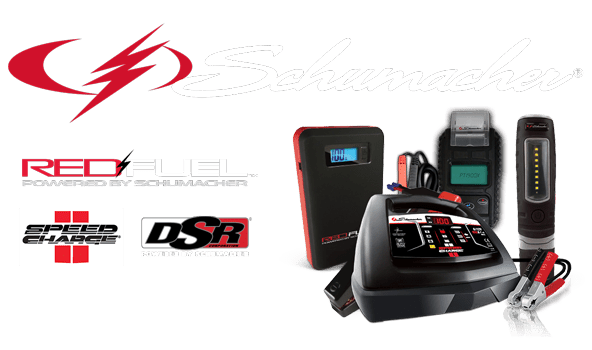 Enerdrive now stock the Schumacher Electric range of battery chargers, battery test equipment, jump starters, power packs and work lights. 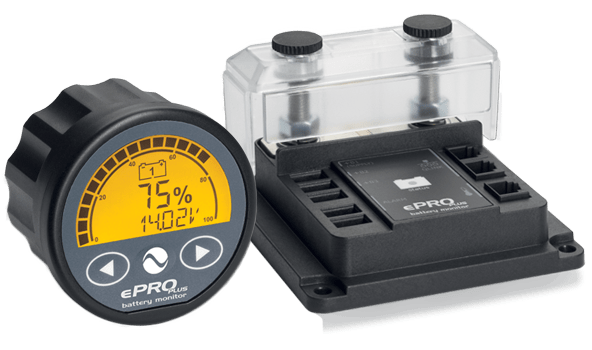 The ePRO PLUS is our latest generation, highly advanced battery monitor. It consists of an intelligent shunt and a remote control display unit. The shunt has a Grid Optimized footprint for perfect integration with our DC Modular products. 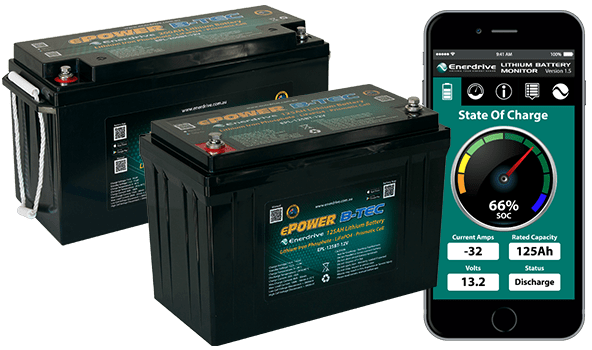 Introducing the new ePOWER B-TEC Lithium Battery range with Smart Phone Technology. Available in both 12v, 100Ah or 125Ah capacities including smart phone monitoring. 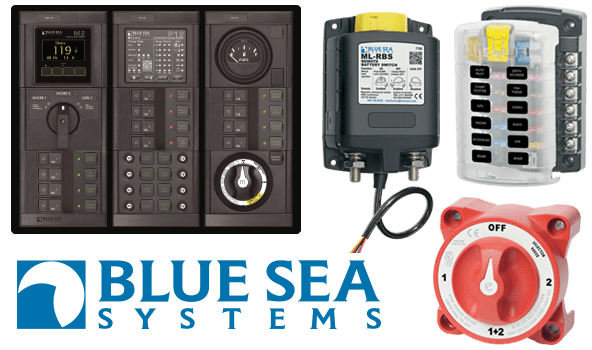 Blue Sea Systems designs and manufactures AC and DC electrical products engineered to withstand the demanding applications in Marine, Mobile and Specialized Vehicle electrical systems. 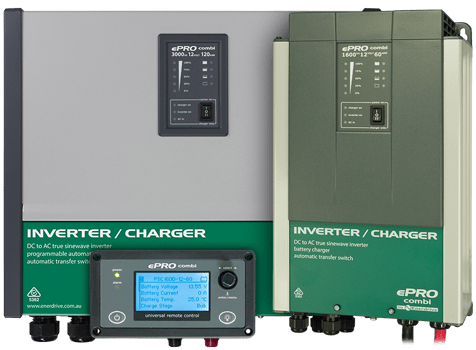 The ePRO Combi range has the latest generation inverter engine, which guarantees reliable operation and huge output power. 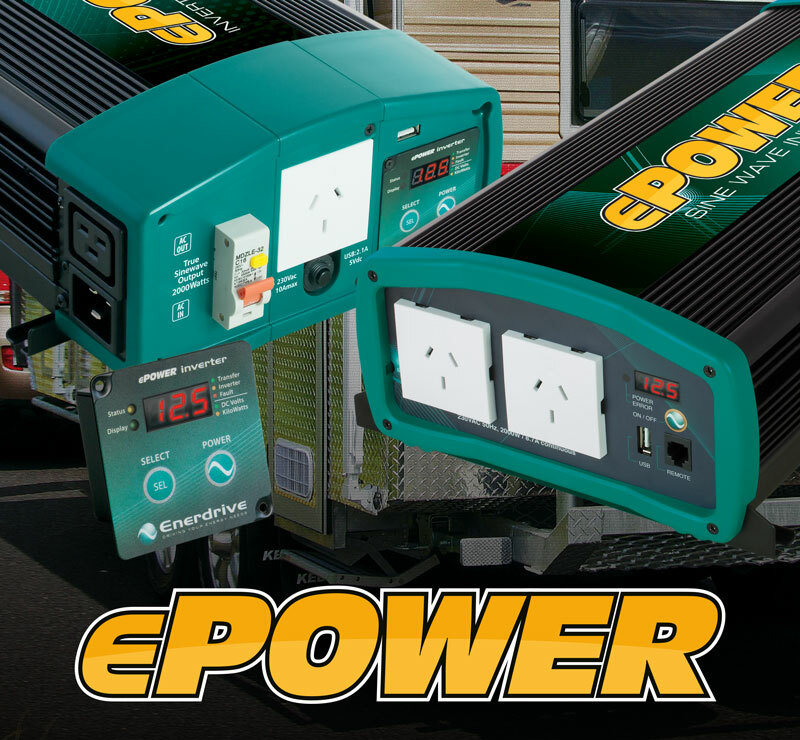 A powerful intelligent battery charger and an ultra fast AC transfer switch. Efficient and reliable true sine wave power inverters from 400W to 2000W. Portable or hard wired models available. Suitable for charging all lithium, flooded, AGM or gel batteries commonly found in motor home, marine, 4WD or caravans. 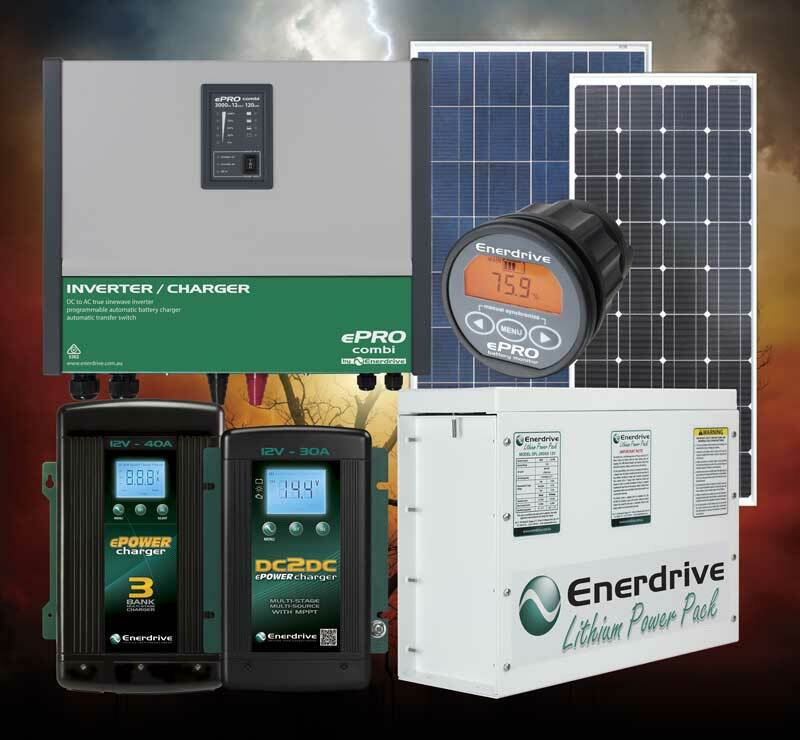 Enerdrive have a range of lithium batteries, installation kits & accessories to suit nearly every off grid application. 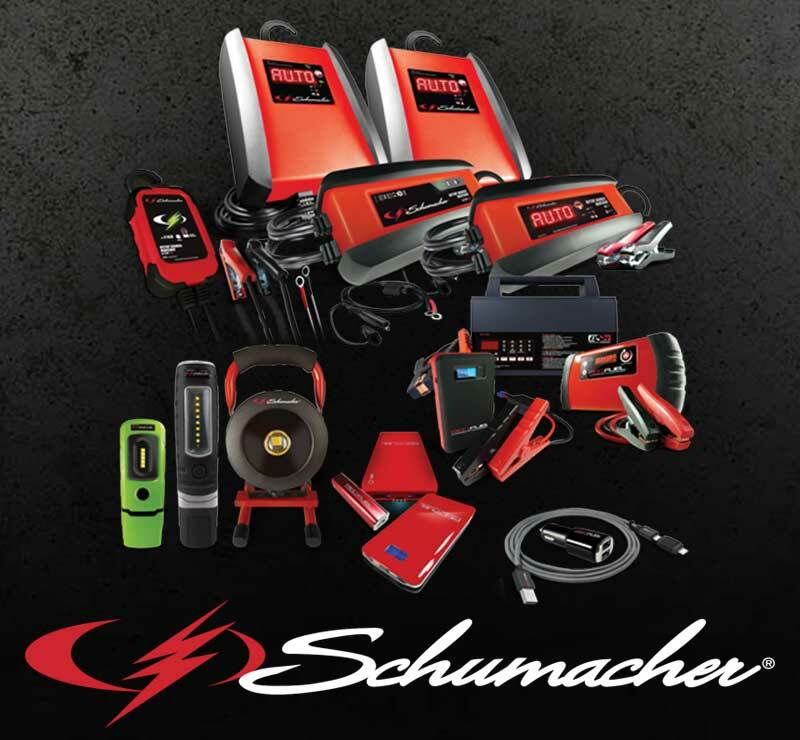 Enerdrive now stock a range of Schumacher battery chargers, jump starters, work lights and battery testing equipment. Find your nearest Enerdrive dealer for sales and installation enquiries. 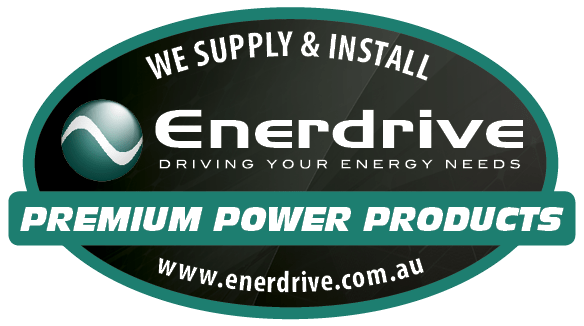 Enerdrive is committed to the supply and support of the very best independent power products Australia wide. Our dedication to the research and development of our products is mirrored in their quality and reliability. Most of all we strive for excellence in support to both our Distributors and the products we supply. Furthermore, Enerdrive has the national coverage and buying power to supply all your independent power needs. 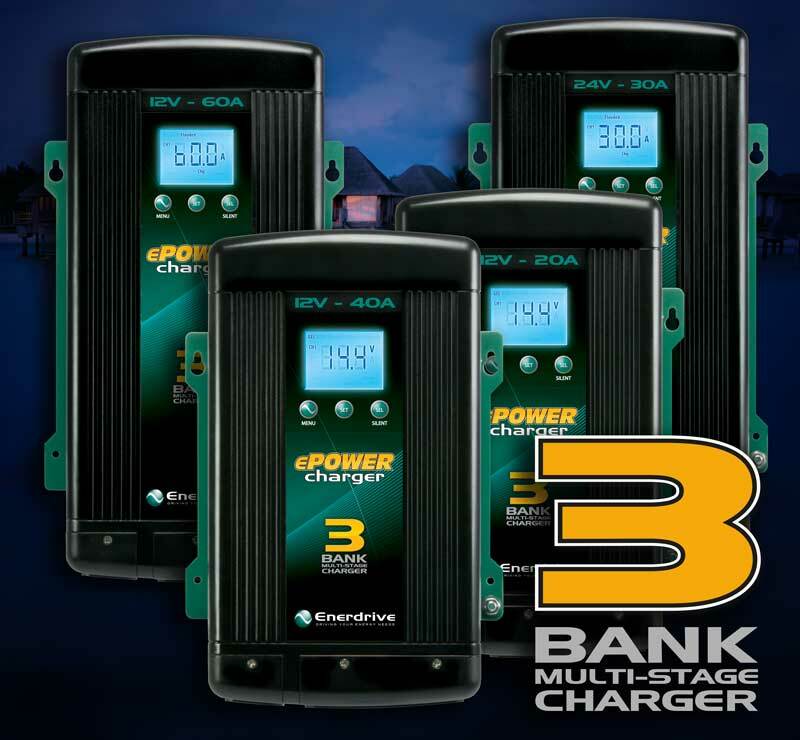 Power Inverters, Smart AC Battery Chargers, DC to DC Battery Chargers, Inverter / Chargers, Battery Monitors, Solar Panels and Charge Controllers, Lithium Battery Systems, DC to DC Products, Schumacher Products & more.